The corpus callosum is a bundle of neural fibers that connects both cerebral hemispheres. It is the largest white matter structure of the brain. Signs and symptoms of a corpus callosum disorder include poor motor coordination, difficulties in complex problem solving, missing subtle social cues, seizures, and, even, impaired face recognition. 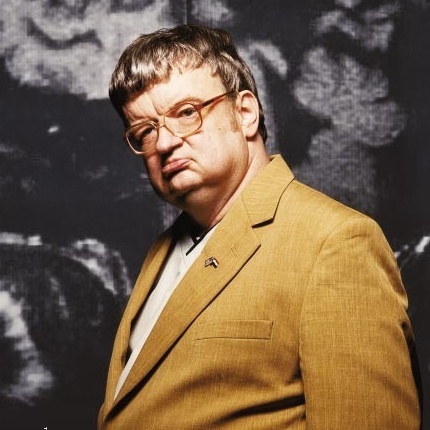 Laurence Kim Peek, the famous autistic savant who provided the inspiration for Raymond Babbitt (Rain Man), had a complete absence of this anatomical structure. There is at present a convergence of findings stemming from structural neuroimaging studies indicating a reduction in size of the corpus callosum in patients with autism. This applies both to areal measurements and to volumetric assessments. Modeling of the corpus callosum using meta- analyses has shown medium effect size with area magnitude reductions decreasing along its rostro-caudal extent. The fact that the corpus callosum is smaller in patients with autism is all the more striking when considering that, in this patient population, total brain size apparently exhibits an age-dependent volumetric increase. Since mean diameter of the longer projection fibers is essentially constant across species average transmission times across long pathways increase directly with size of the brain. The temporal delay for interhemispheric communication is significant enough that the human brain has found it more efficient to emphasize an ‘intrahemispheric modus operandi’. In effect the white matter increase observed with increasing brain size (an evolutionary process called encephalization) is made primarily of short arching fibers at the expense of longer corticocortical projections such as those connecting homologous areas of both hemispheres (i.e., corpus callosum). Across species, those with bigger brains have smaller corpora callosa. This finding is the putative mechanism underlying both cerebral dominance and the emergence of higher cognitive functions such as language. Many of the reported shape/size abnormalities in autism (e.g., bigger brains, overabundance of arcuate fibers, smaller corpus callosum) may therefore be interdependent. In essence, abnormalities of both corpus callosum size and cerebral dominance have been implicated in psychiatric conditions, such as autism, that are characterized by increased brain size and the presence of a language disorder. White matter projections can link closely adjacent brain regions through arcuate fibers or farther away areas. Some of the longest corticocortical projections join homologous areas of both hemispheres through the corpus callosum. Mottron’s model, referred to as enhanced perceptual functioning, was based on enhanced low-level operations. The latter author proposed atypical inhibition and functional autonomy of perceptual operations from top-down processing influences. Anatomical evidence in support of these hypotheses came from parcellation studies of the white matter, indicating an enlarged outer radiate compartment (i.e. space occupied by arcuate fibers), smaller neurons favoring transmission along shorter pathways, and structural imaging studies showing a reduction of the gyral window, which would serve to constrain the size of longer projection fibers in patients with autism. I think this blog should emphasize that the presence of a smaller corpus callosum in autism is a true finding that has been reproduced in many series. The finding gains in importance as it provides an explanation to many of the clinical symptoms observed in autism. When examining new theories on causation, and many neuropathological discoveries, we should ask ourselves, how are the same integrated with a smaller corpus callosum?